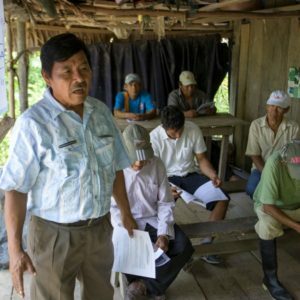 REPAM is a Catholic Church network that promotes the rights and dignity of people living in the Amazon. It is a project of the nine Churches of the Amazon region, inspired by Pope Francis and backed by the Latin American Bishops’ Conference, CELAM. Caritas Internationalis is a founding member of REPAM, and national Caritas offices in the Amazon countries, Europe and North America also participate. REPAM exists to bring to the world’s attention the fragile situation of indigenous people in the Amazon and the critical importance of the Amazon biome to the planet – our common home. 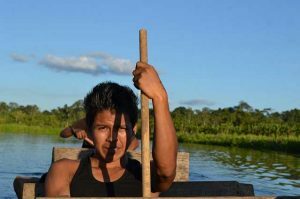 REPAM was set up in 2014 in answer to the grave concerns of Pope Francis and the Latin American Church regarding the “deep wounds that Amazonia and its peoples bear”. It embodies the promise Pope Francis made in the Amazon town of Maldonado, Peru, to affirm “a whole-hearted option for the defence of life, the defence of the earth and the defence of cultures”. Enabling indigenous leaders to be heard on the world stage: REPAM led a delegation to the European Union in September 2018 with two indigenous leaders from Brazil detailing rights abuses on their territories. 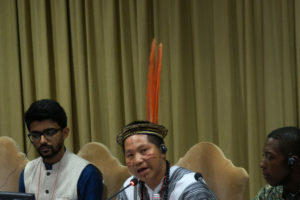 Community leaders spoke at the UN in April 2018 on human rights violations and environmental destruction in Peru and Brazil. Creation of a School for the Promotion of Rights to train community leaders and pastoral workers in their human and environmental rights. Support for human rights defence cases: REPAM took part as an advocacy agent in a hearing at the Inter-American Commission on Human Rights (IACHR) to defend territorial property rights of local communities. 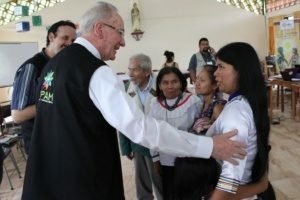 Dialogue between the Church and indigenous peoples’ communities. 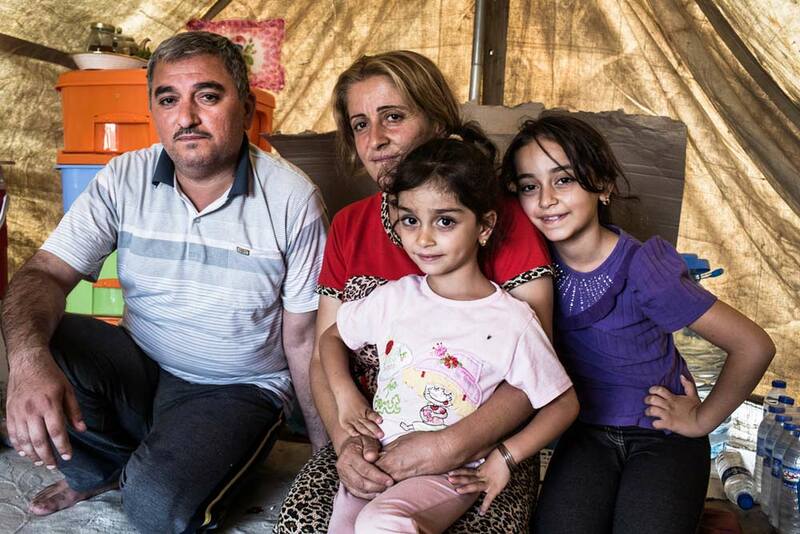 REPAM also seeks to reach communities the Church may not easily access. Protection for the 137 ‘contactless tribes’ of the Amazon and affirmation of their right to live undisturbed. Communications: radio programmes to share the messages of the encyclical Laudato Si; support for 30 indigenous youth communicators in Ecuador. There are three million indigenous people and 31 million other inhabitants living in the seven million square kilometres of the Amazon region. Its territory spreads across nine countries: Bolivia, Brazil, Colombia, Ecuador, French Guyana, Guyana, Peru, Surinam and Venezuela. The region’s rich resources have long been exploited by extractive industries – oil, gas, lumber, gold – and by cattle ranching and agribusiness. Large-scale infrastructure developments have displaced or annihilated indigenous communities, damaging their ecosystem, their economies and their ancient cultures. They are rarely consulted, and have little power in negotiations. 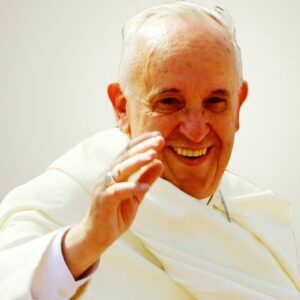 “We have to break with the historical paradigm that views Amazonia as an inexhaustible source of supplies for other countries without concern for its inhabitants,” exhorts Pope Francis, who has said he wishes to be considered as “a spokesperson for the deepest longings of indigenous peoples”. The Amazon rainforest produces one third of all rainfall on our planet and a fifth of our oxygen. We drink and breathe the Amazon. This vast green lung is critical to reducing greenhouse gas emissions. It is a carbon sink, preventing million of tons of carbon dioxide from entering the atmosphere. But almost 20 per cent of the forest has been cut down in the last 50 years. It is a moral imperative, says Pope Francis in his encyclical Laudato Si’, to protect this great defence system. He urgently calls for a global ecological conversion that will turn away from relentless consumption and restore a proper relationship with the earth. Laudato Si’ has been adopted as a core document for REPAM. Delio Siticonatzi from Peru talks at a Vatican conference on integral human ecology. Pope Francis has called for a Synod of Bishops on the Amazon, to be held in the Vatican in October 2019. It is the first time the Pope has convened a Synod for a specific region, and it is directly linked to the work of REPAM. With the theme The Amazon: New paths for the Church and for an integral ecology, the Synod aims to find ways for the Church to support local people more closely and work alongside them to respond to the injustices that confront them and the threats to the Amazon biome. REPAM will also hold a set of thematic Pan-Amazonian Forums addressing key issues around indigenous peoples and socio-environmental justice. One such forum, on indigenous peoples, will take place in November 2018. The call for participation will take place through REPAM’s national offices.